“Road to Hell,” the third chapter in the cruelly hilarious Argentinian revenge omnibus “Wild Tales,” should play very well in Boston, where nerves have been scraped to nubs by the pummeling of winter and where road rage has become every driver’s default setting. Two men, a smug richie in a new Audi (Leonardo Sbaraglia) and a macho workingman in a beat-up Peugot (Walter Donado), play out their class war on a lonely desert highway, the tempers and the stakes slowly rising to homicidal levels. Is this a cautionary tale? Or just a devilish allegory about man’s inhumanity taken to comic extremes, enjoyable mostly because it’s not us in the driver’s seat? Based on the rest of “Wild Tales,” definitely the latter. Written and directed by Damián Szifrón, the film was nominated for the foreign language Oscar this year (it lost to Poland’s “Ida”). It deserves the honor on style rather than lasting meaning; there is no lasting meaning, other than that people are funny, nasty animals when pushed to their limits. “Pasternak,” the first of the six unrelated segments, is a delicious airborne revenge farce in which the wronged party remains in a critical off-camera position; I will say no more. Rather more blunt is “The Rats,” in which a meek diner waitress (Julieta Zylberberg) is given the chance to wreak vengeance on the gangster (César Bordón) who ruined her family but needs a pep talk — and a little rat poison — from her bloody-minded cook (Rita Cortese) to go through with it. “Bombita” taps into the fury we all feel when confronted with a faceless urban bureaucracy, as a put-upon demolitions expert (Ricardo Darin) has his car towed one too many times; this segment is a comparative slow-burner, as is the one following, “The Bill,” in which a rich man (Oscar Martínez) pays his gardener (Germán de Silva) to take the rap for his son’s hit-and-run accident, only to learn that corruption requires endless negotiations. If “Wild Tales” seems to be running out of malevolent juice by this point, it gets a late-inning lift with the final tale, “Till Death Do Us Part,” an uproarious comedy of bad behavior in which the bride (Érica Rivas) at a fancy Buenos Aires wedding discovers that her husband (Diego Gentile) has been fooling around with one of the guests. Events spiral further and further out of control — at one point literally — until the reception becomes the kind of mortifying theater one always hopes for at a wedding but never gets. “Wild Tales” rockets along with sleek, amoral charm and a masterful sense of cinematic storytelling; it’s worth noting that one of the producers is Spain’s Pedro Almodóvar. But Szifrón never taps into the operatic emotions or melodramatic madness of recent Almodóvar films like “Talk to Her” (2002) and “Volver” (2006); even “I’m So Excited!” (2013), a bit of Pedro frou-frou set on an airplane, has more heft than this movie’s “Pasternak” segment, which is really just a one-idea joke, albeit a good one. 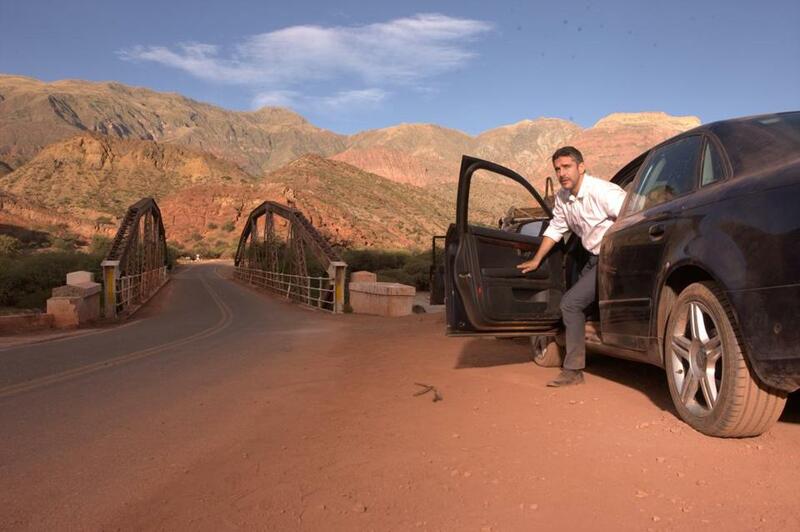 ‘Wild Tales” director Damián Szifron talks about his road rage, and other real-life inspirations for the Oscar-nominated film from Argentina. Instead, Szifrón puts us through the wringer and asks us to laugh at and cringe for these foolish, selfish human beasts (except for the hero of “Bombita,” who acts out our own power fantasies when confronted with a parking ticket). Bitter fun though it is, “Wild Tales” leaves no marks, never forces us to consider the beasts we ourselves might become if prodded the right or wrong way. Szifrón gives us a window onto other people’s worst impulses rather than a mirror reflecting our own; the laughs come fast and full, and they come a little too easily. Ty Burr can be reached at tburr@globe.com. Follow him on Twitter @tyburr.